At the Untouchable screening we announced our forthcoming programme for January to April 2014. We’re delighted to bring two highly regarded films, made forty years apart (in 1940 and 1980), as part of the BFI’s Gothic season of screenings and events around the UK, in association with Film Hub Wales. Though tonally these films have their differences, there are intriguing parallels. 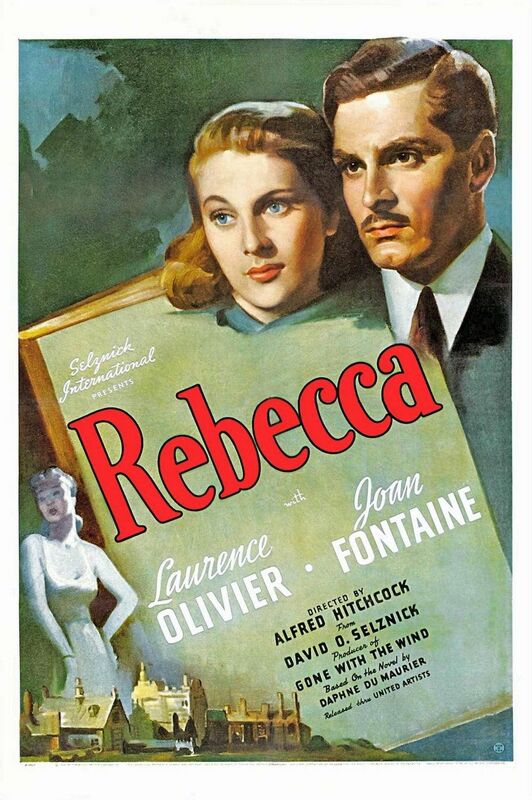 Both were made by ex-pats (Hitchcock, born in North London, made Rebecca on first arriving in the US, while the reclusive Kubrick, a native New Yorker, was living permanently in Britain when he shot The Shining). 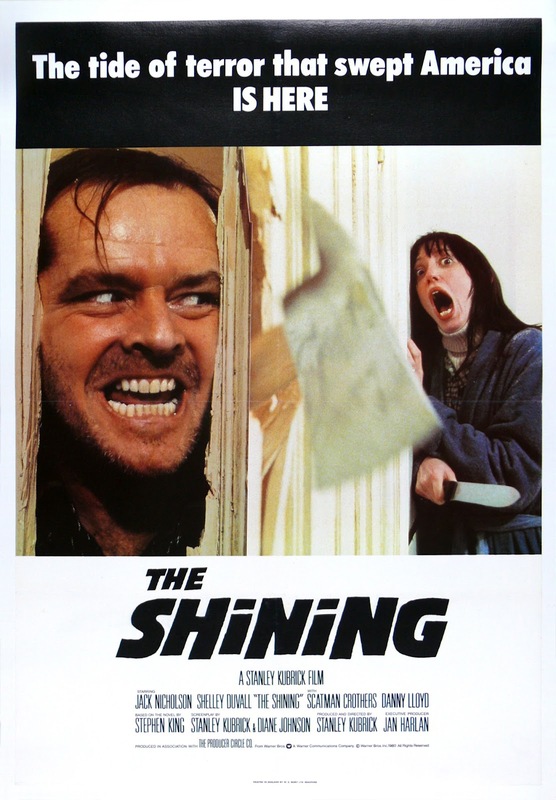 The two films are based on popular novels by masters of the genre (Daphne du Maurier and Stephen King), and both centre their stories on a classic, isolated ‘haunted house’: the rambling mansion of Manderley in Rebecca, and The Shining’s Overlook Hotel. In each case, the drama has a tormented female protagonist at its heart, stalked by uncertainty and madness. Enjoyed back-to-back, we’re hoping these films will complement one another, casting the works in a fresh light for viewers who may have already enjoyed them in isolation. And if you’ve never seen them on the big screen, with an audience, you’re in for a real treat. Tickets will be available for either one or both films, and we’re offering a special discounted price for those brave enough to join us for both (£5 members; £7 non members). The evening gets underway earlier than usual, with doors at 6.45pm. Rebecca will start at 7.00pm, playing through until 9.30pm after a 15 minute intermission. There will be a half an hour break for refreshments before The Shining starts at 10.00pm. We will have an intermission at the film’s halfway point, before resuming to finish at around 1.00am. Released earlier this year, Rush seems destined for classic status. 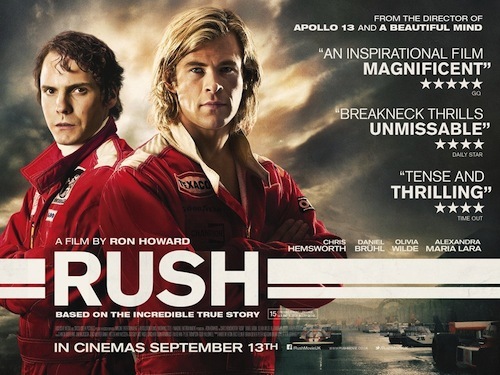 It tells the gripping, real life tale of F1 rivals James Hunt (Chris Hemsworth) and Niki Lauda (Daniel Brühl) culminating in the 1976 season that saw Lauda return to the track after suffering horrific injuries earlier that year. The film is directed by Ron Howard (A Beautiful Mind, Frost/Nixon), scripted by Peter Morgan (The Queen, Frost/Nixon), and comes hotly tipped for Oscar recognition: a highly entertaining evening is a racing certainty. Based on journalist Martin Sixsmith’s 2009 investigation into the forced separation of mothers from children born out of wedlock, Stephen Frears (The Queen ) has fashioned a humane, troubling but touching true-life story starring Dame Judi Dench as Philomena and Steve Coogan as Sixsmith. 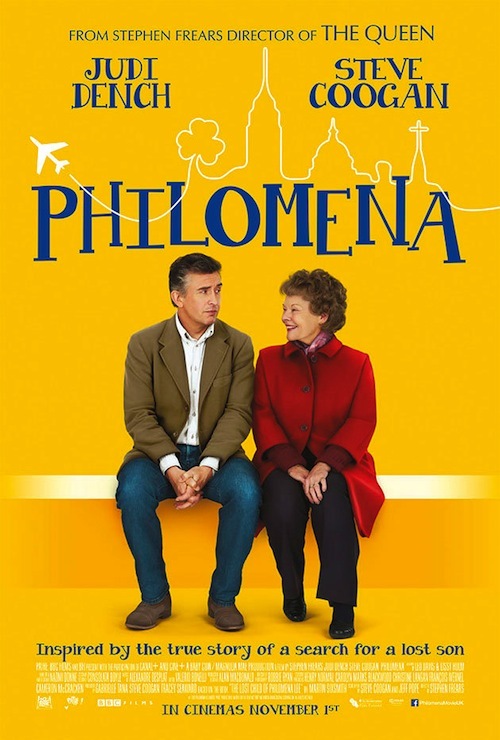 The film’s official site describes it as “a bitter-sweet comedy, a compelling narrative of human love and loss, and a heart-breaking story that ultimately celebrates life.” Having already picked up Best Screenplay at the Venice Film Festival, Philomena is expected to feature prominently during the Oscar and BAFTA awards season. From the 1970s to the mid-1990s, Woody Allen could do little wrong. But in recent years his work has met with mixed reactions. 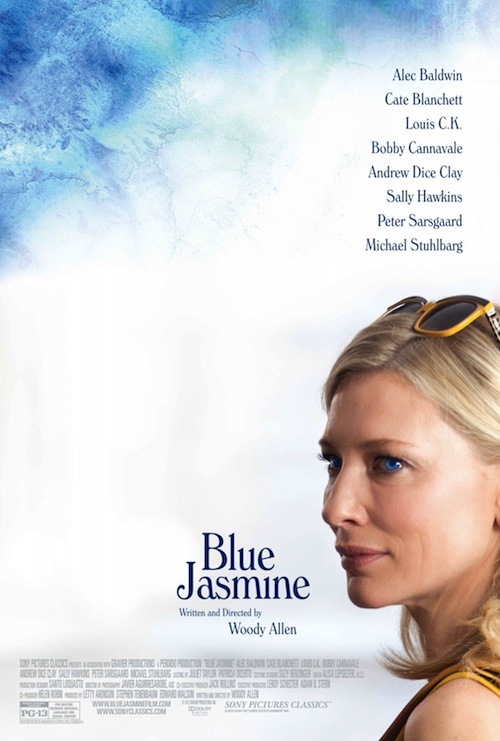 Not so Blue Jasmine, which most commentators agree marks a definite return to form, providing Cate Blanchett, as the eponymous heroine, with a genuine shot at Oscar glory. The story of a haughty, rich socialite brought low by her husband’s misdemeanours, the film wrings every ounce of comedy and tragedy from Jasmine’s plight. This is grown-up filmmaking at its very best, and a great way to wrap up the Spring season. Tickets are now available. Call 01446 781 144 or email llancarfancine@gmail.com.